August 2016 – Cut the B.S.! … I mean Blood Sugar! Actually, I went out to eat with my husband, Diabetes came along uninvited, the schmuck! My husband and I have gone on mini-honeymoons for our anniversary every year since we got married. Every year, we take turns surprising each other by picking the destination. He took the odd years, I took the even years. The year of my diagnosis, was an even year, and about 2 weeks after my diagnosis. As apprehensive as I was to go, and as apprehensive as everyone else probably was, I had already booked our mini staycation. We were going. We checked and double checked for everything I would be needing. Insulin, pen needles, test strips, my meter, sharps container, alcohol pads, and one lancet. (Just kidding, that was when I changed the lancet every time, so I brought many lancets-I know better now!) In hindsight, I highly recommend doing a staycation after diagnosis before your first huge trip-it gives you some peace of mind the second time around. We kiss the girls goodbye and head to our hotel. We check in and go to dinner. 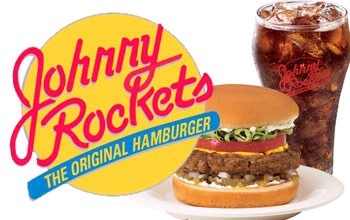 Johnny Rockets and my mind starts to wander and get sad. “No, milkshake for me.” Sadface. I was under the impression that I couldn’t have any carbs or the Diabetes Police would send me to Diabetes jail…oh wait, I’m already in Diabetes Jail not being about to eat any carbs. (Please excuse the sarcasm.). We order, I probably got something along the lines of a burger, no bun, no cheese, a salad, and an unsweetened iced tea. My husband promises me a few fries off of his plate. I excuse myself to test my blood sugars in the bathroom. My husband says I should just wash my hands and test at the table. Really? At the table? What if people are watching me? What if I gross people out? These are all thoughts that are going through my head. He assures me that no one will stare. Ok here goes. I test my blood sugars and guess what? No one cared. No one noticed. Everyone was so busy at their own tables to even care about what was going on at our BS checking table. I worried about all that for nothing. I’ve been testing my BS at the table ever since. It’s been years since this has happened, and I now know that I can order that milkshake if I want it as along as I dose myself with enough insulin. I feel so fortunate that I have someone to champion for me even when it didn’t occur to me to champion for myself. A huge thanks…about the size of that backpack from earlier to my husband! Do you remember the first time you ate out with Diabetes? What thoughts went through your mind? How did it go?